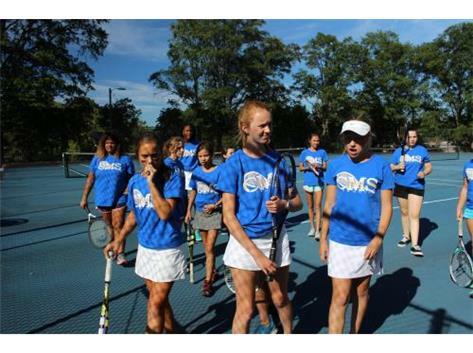 We will start practice for the 2018 fall season of Girls Tennis on Monday, August 20th. Practice will take place at Ephesus Tennis courts (1939 Ephesus Church Rd, Chapel Hill, NC 27517) from 4:00 pm - 5:30 pm. You are responsible for your own transportation to and from the courts. Once school starts, we will arrange a carpool system to get players to the courts after school. Make sure you come dress appropriate (shorts, tank tops, tennis skirts, tennis dresses, tennis/athletic shoes, hat or visor). Bring a water bottle and a tennis racket. I look forward to hitting the courts with you all.